Aminoglycoside (AG) therapy is a common cause of acute kidney injury (AKI) in cystic fibrosis (CF) patients. The aim of this study was to identify factors associated with AKI during intravenous AG courses in this population. This was a matched case–control study utilizing two independent cohorts of hospitalized CF patients receiving ≥3 days of intravenous AG at Cincinnati Children’s Hospital Medical Center and Children’s of Alabama. All admissions with AKI (cases, N = 82) were matched to two randomly selected admissions without AKI (controls, N = 164) by center, gender, and age ±3 years of the case. AKI was defined as a 1.5-fold increase in the baseline serum creatinine (SCr) level or by an increase in SCr level of 0.3 mg/dL within 48 h. Admissions with AKI before day 4 or without at least weekly SCr monitoring were excluded from the analysis. Factors were compared between cases and controls using simple and multiple conditional logistic regression. Multivariable analysis identified receipt of an AG within 90 days prior to admission, longer duration of AG therapy, low serum albumin, and receipt of trimethoprim/sulfamethoxazole as independent risk factors for developing AKI. Infection with Staphylococcus aureus diminished the odds of developing AKI. This study identifies risk factors contributing to AG-associated AKI in CF patients. These findings can be used to anticipate high-risk scenarios and limit AKI in CF patients under clinical care. There was no direct funding for this study. Dr. Downes was supported by the National Institute of Child Health and Human Development of the National Institutes of Health under award number 5T32HD069054, Cincinnati Training Program in Pediatric Clinical and Developmental Pharmacology. Dr. Harris receives funding from the Cystic Fibrosis Foundation (HARRIS12Q0). Dr. Clancy receives grant support from the NIH (NHLBI-FOA-HL 12–035) and the Cystic Fibrosis Foundation (R457-CR11, AMIN09YO). Dr. Goldstein is supported in part by the Agency for Healthcare Research and Quality Center for Education and Research on Therapeutics grant (AHRQ CERT 1U19HS021114). 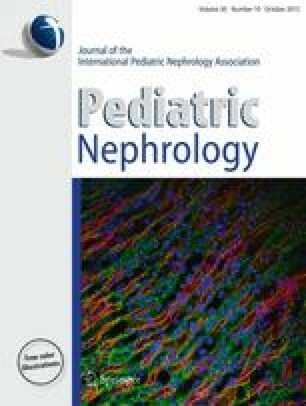 Dr. Askenazi receives funding from the Pediatric and Infant Center for Acute Nephrology (PICAN) which is sponsored by Children’s of Alabama and the University of Alabama at Birmingham’s School of Medicine, Department of Pediatrics and Center for Clinical and Translational Science (CCTS). Funding for REDCap at CCHMC is provided by Center for Clinical and Translational Science and Training grant support (UL1-RR026314). The content is solely the responsibility of the authors and does not necessarily represent the official views of the National Institutes of Health.